Afenifere Renewal Group Donates to Kwara School, Advocates NGO Philanthropic Support – Royal Times of Nigeria. A Non-Governmental Organisation, Afenifere Renewal Group, ARG, has emphasized the need for individuals and organizations to support the effort of the government in critical sectors of the nation as part of efforts to transform the nation. The group made the call today at the presentation of more than one hundred classroom chairs and tables as well as a motorized well to the Community LGEA school, Ganmo. Set of chairs donated to Community LGEA School, Ganmo by ARG. The donation was made by the ARG, United States of America chapter. Kwara state Secretary of ARG, Abdulateef Bamidele, who made the presentation said the gesture was to assist the school with needed facilities in order to aid academic activities. Bamidele noted that support from non-governmental bodies be it, religious, ethnic or socio-cultural group, is necessary as only government can no longer render the needed services, especially following the drop in allocation. 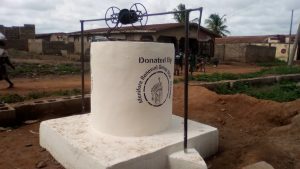 A motorized well donated by ARG, USA Chapter to Community LGEA School, Ganmo. He also said that the community primary School in Ganmo was chosen in the first phase of the community service among several others. According to him, developmental projects by ARG, which has its chapters spread across Nigeria and foreign countries, will be an annual event. 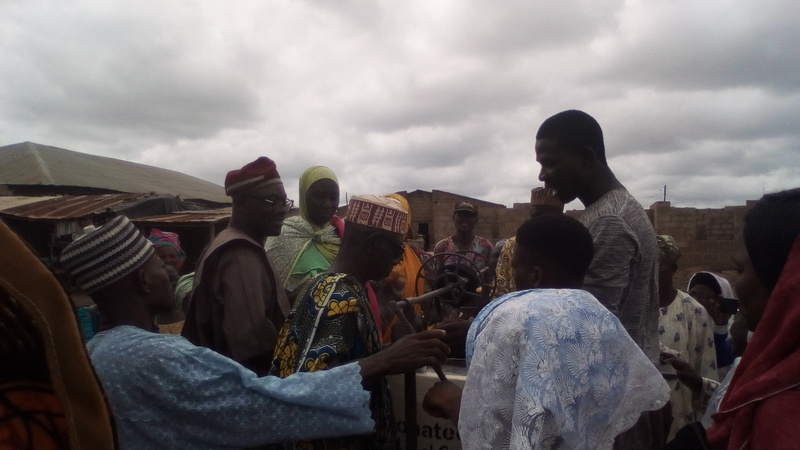 Alhaji Abdulganiy Akinsola, Education Secretary, Ifelodun local government who was represented by Alhaji Abdulwahab Imam, commended the body for the education enhancing gesture and said it would be formally appreciated to encourage many others. 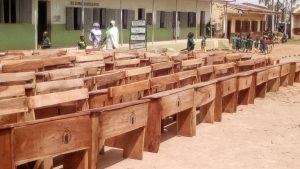 The Head teacher, Community LGEA, School A, Mrs G.R Adedoyin who expressed delight at the donation said it will go a long way in enhancing academic delivery as many pupils who had always been crammed on a seat would now be able to sit comfortably. She also called for more of such philanthropic gesture for the school and others in the quest to improve the educational standard in schools.